The book features famous hypochondriacs including Darwin, Florence Nightengale, Charlotte Bronte and Andy Warhol, with a particular focus on the specific kind of craziness so completely epitomized by the Victorians. It’s a very interesting read. Despite the expression “what comes around, goes around” there are a group of outlaws who had surprisingly soft endings, despite having lived extremely hard, dangerous and, in most cases, crime ridden lives. Despite his life of debauchery, Earp had a rather peaceful death in Hollywood where, at the age of 80, he died at home of prostate cancer (though the actual cause of death isn’t confirmed) with his common law wife at his side. He had a proper funeral with Hollywood Western actors serving as his pallbearers and was cremated and buried in California. 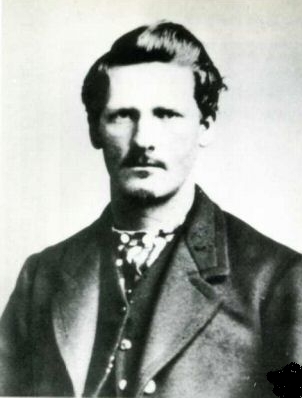 When his wife Josie died nearly twenty years later, she was also cremated, her ashes buried next to those of Wyatt Earp. He never returned to Arizona after the battle at the OK Corral. 1954, by Blomberg, Lysell and Thames. Made from ABS plastic. Typical eBay price: from £50. The “Cobra”, nicknamed after its shape, was the first one-piece telephone. More than just a design gimmick, the innovative ergonomics ensured it was initially a success in hospitals and other environments where peoples’ movement was restricted. 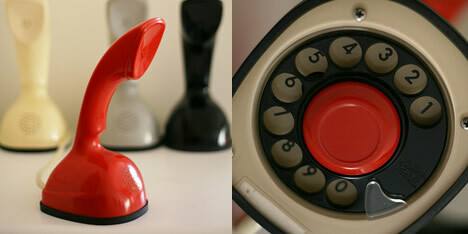 Originally available in 18 colours, the phone also featured one of the first transistor buzzers, giving it a distinctive chirping sound rather than a traditional telephone bell ring. The button on the base of the telephone depressed as the phone was placed down, hanging up the call. When the phone is picked up, the button is released, picking up the receiver: cleverly building automated functionality into the intended physical use of the object. 1956, by Gugelot and Rams. Made from sheet steel, wood and perspex. Typical eBay price: from £1000. Like the Ericofon, which was co-designed by a non-designer (Thames was an engineer), the SK4 was co-designed by an architect, Dieter Rams. Originally designed to be a low-cost entertainment unit, the clever use of modern materials and minimal design ensured that the Sk4 – also known as Snow White’s Coffin – would become a design classic. The use of sheet steel allowed a single layer to be wrapped around the front, top, and back, with the electrical components inserted from the bottom. This clever design removed the unsightly wiring normally found at the back of the unit, allowing an entertainment system to be positioned in the centre of the room as ‘furniture’ for perhaps the first time. Standard record players of the time had a wooden or other solid cover that hid the complexities of the turntable when not in use. Although sheet steel was first considered for the SK4 lid, the design team found that it had a negative effect on the quality of the sound. So, for the first time, a transparent perspex lid was used, displaying the beautifully arranged controls in all their glory. This design decision was quickly adopted by other manufacturers. 1965, by Zanuso and Sapper. Made from ABS plastic. Typical eBay price: from £250. folding telephone (the Siemens Grillo) and the first European transistorized portable television, the gorgeous Brionvega Doney 14. 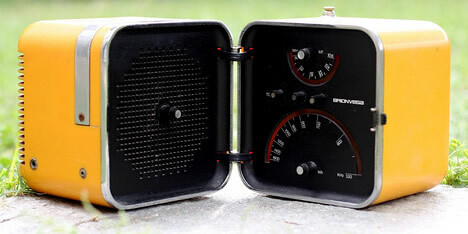 This stunning radio, measuring about 10 inches tall, folded into a cube and featured a slide-out carrying handle. 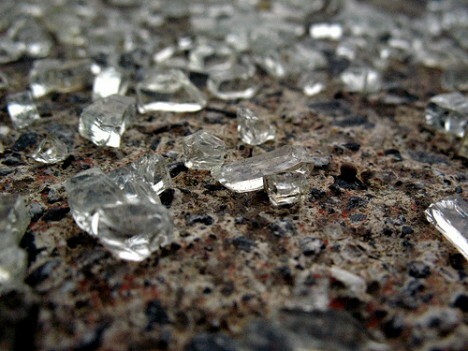 Dubbed in the marketing materials as “the protagonist of its environment”, the unusual design ensured that people took notice wherever it was placed. Still available with the same design today, 45 years later, the TS-502 proves that “classic” design is anything but classic: rather than creating something in-keeping with the style of the times, truly “classic” designs are those that break the mould. 1969, by Sottsass. Made from ABS plastic. Typical eBay price: from £100. Designed by yet another architect, the Italian Ettore Sottsass set out to create the “anti-machine machine”, in what could be see as the predecessor of the iBook and other Apple products that introduced office objects to the home. Sottsass described his creation as “a biro among typewriters”, and later as “too obvious, a bit like a girl wearing a very short skirt and too much make-up”. Even so, his simply designed colourful typewriter became popular with many a budding poet and author, and was supported by a marketing campaign with art from Milton Glaser (of “I ♥ New York” fame). 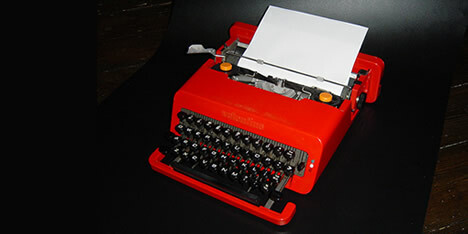 In an attempt to simplify the typewriter as much as possible, it is rumoured that an early prototype of the Valentine only had a single case of letters (i.e. could not switch between upper and lower case), perhaps predicting the informality of modern-day SMS and email messages. Olivetti are the only company that still manufacture manual typewriters. 1970, by JVC design team. Made from ABS plastic. Typical eBay price: from £70. Clearly influenced by the space race of its time, the Videosphere seems to embrace every constraint of the technology, and then adds a few more unnecessary ones for the heck of it. An 8″, black and white television, the videosphere housing accentuates the curved tube screen, and adds unreachable controls at the top/back, together with a chain for hanging the TV from the ceiling. A stunning, classic object that demonstrates how great design sometimes wins over functionality (though I’m not sure I’d actually like to watch anything on it). 1972, by Dreyfuss. Made from chromium-plated plastic. Typical eBay price: from £40. The great Henry Dreyfuss, originally a theatrical designer, was asked to design the first camera to use Polaroid instant film. 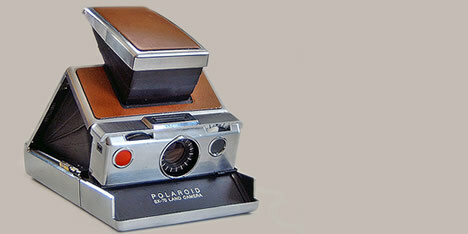 Not only was it the first camera to use instant film, it was the first folding SLR camera. 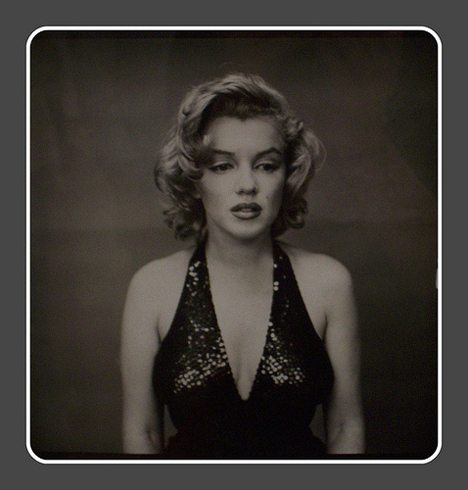 And not only was it the first folding SLR camera, it was (in a later model) the first auto-focus SLR camera. A stunning piece of engineering and design, the folding camera was designed to fit in a “gentleman’s pocket”. It rightly won many admirers: Andy Warhol was a fan, Charles and Ray Eames made a short film about it, and Laurence Olivier gave his only product endorsement to it. 1973, by Sinclair. Made from plastic. Typical eBay price: from £15. 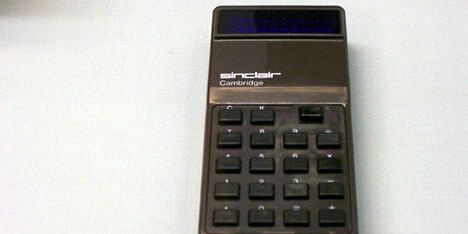 Sir Clive Sinclair, of lapdancing wife fame, named the stunning Cambridge pocket calculator after the original location of the Sinclair offices. The Apple-esque minimalism on the outside was unfortunately not matched by equally stunning design on the inside. Although the prototype was built with standard gold-flashed nickel contacts on the switch, the production models used a cheaper tin-coated nickel. Switching the calculator on and off a few times smeared the oxidised tin across the contacts of the switch, quickly turning the calculator into an always-on version. Ericsson Ericofon photos by Flickr user mollybob. 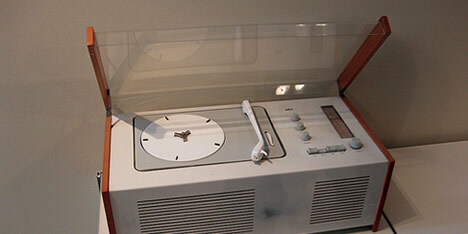 Braun SK4 photo by Flickr user withassociates. Brionvega TS502 photo by Flickr user gentax. Olivetti Valentine photo by Flickr user Andy Martini. 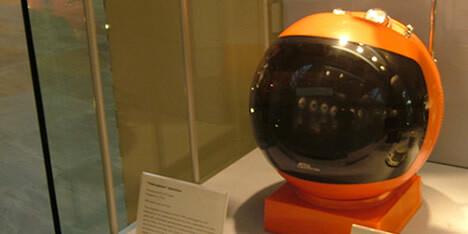 JVC Videosphere photo by Wikimedia user Wackymacs. Polaroid SX-70 photo by Flickr user Master of Felix. Sinclair Cambridge photo by Flickr user Berto Garcia.